Featured in Home | School | Life Magazine! 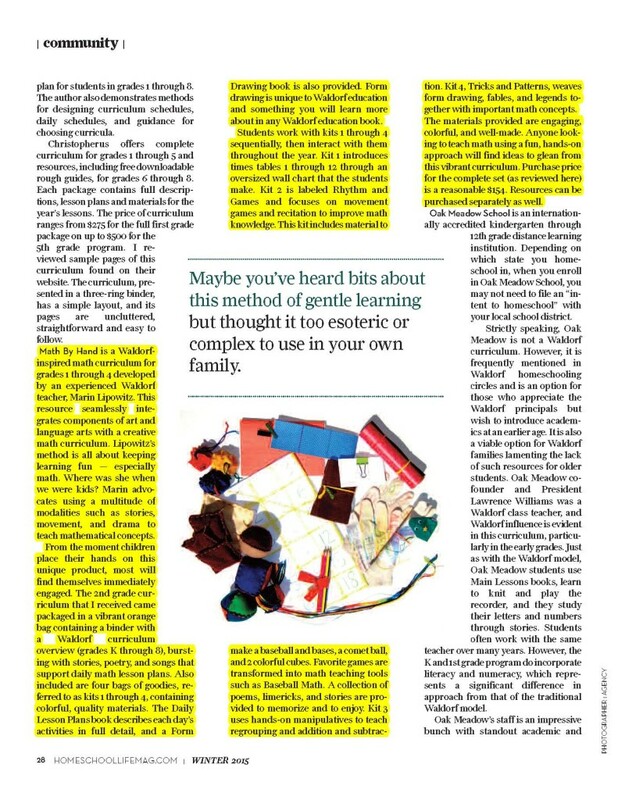 Rebecca Pickens has the “Curriculum Junkie” column, and reviewed a Math By Hand Grade 2 Complete Package. Read the article below or subscribe via their website.